The Argentine ace led Barcelona's surge against Sevilla to maintain their 7-point lead atop of La Liga. Is there any reasonable way to see Messi stop scoring goals? The channel will broadcast one game per week for free, starting with Los Blancos' trip to Levante on Sunday. La Liga fans in the UK have been treated to excellent news, as one game every week from the Spanish Primera Division will broadcast free-to-air on ITV. Real Madrid has escaped the Ciutat de Valencia without a loss in their five past meetings. Will that streak continue after Sunday's clash? What has been Levante and Real Madrid's form ahead of this match? A complaint against the Blaugrana has been sent to the Spanish Football Federation over the fielding of an ineligible player. On Thursday, Barcelona pulled off a comeback win against Levante to book their ticket to the Copa del Rey quarter-final. The Blaugrana lost the first leg but won the second 3-0 to progress via a 4-2 aggregate scoreline. In our match analysis informing you how to watch Barcelona's Copa del Rey clash with Levante on Thursday, we compare team statistics and analyze both teams’their head-to-head record. What is the form of Barcelona compared to Levante? The midfielder and the goalie were involved in a curious incident against Levante footballer Chema, but they ended up embarrassed by their antics. The game between Levante and Barcelona had its fair share of emotions, but nothing compared to the laughter caused by an alleged foul against Sergio Busquets...and Jasper Cillessen. There will be several options to watch this game around the world. Find out which one suits you better with our detailed guide. What has been Levante and Barcelona' form ahead of this match? Real Madrid vs Leganes, Levante vs Barcelona, Man City vs Burton Albion, and PSG vs Guingamp comprise our list of must-watch games on Wednesday and Thursday. There were no changes among the top four teams this weekend, but that was irrelevant as soon as Messi stepped in to dazzle fans. Another week has gone by in La Liga and Barcelona seems to be en route to defend their title properly. The Barcelona skipper reached two new milestones with his goals in Sunday's La Liga encounter. 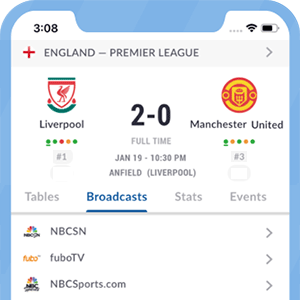 beIN Sports will offer coverage of this game in English and Spanish for their U.S. subscribers, with beIN Sports Connect helping users to follow this game on-the-go. What has been Levante and Barcelona's form ahead of this match? Man City vs Everton, Liverpool vs Man United, Torino vs Juventus, Levante vs Barcelona, and action from the FIFA Club World Cup comprise our list of must-watch games. Even Ronaldo's new club, Real Valladolid, is enjoying a better start of the season than Los Blancos after nine games. The Brazilian full-back fears for his under-fire boss amid sack rumors. Real Madrid left-fullback Marcelo has had a say in the ongoing speculations which suggest that his manager Julen Lopetegui is on the verge of being sacked. This comes after the defender saw his side for to a shock 2-1 defeat at the Bernabeu on Sunday. Things go from bad to worse for Los Blancos as the Spanish giant fell to a 2-1 home defeat. Things are going from bad to worse for Julen Lopetegui. The Real Madrid manager is already under pressure at Real Madrid, with the team's lack of goals making matters worse. With almost a full squad to choose from, there should be no excuse for Julen Lopetegui's men to claim all the points at home. Real Madrid is desperate to get back on track after some disappointing La Liga games, but their cries for help might be answered this weekend. Internazionale vs AC Milan, Juventus vs Genoa, Chelsea vs Manchester United, Barcelona vs Sevilla and Real Madrid vs Levante comprise our top five matches to stream and watch on TV this weekend. beIN Sports will broadcast this would-be historical match in La Liga featuring the Spanish giants against a tough team from Valencia. What is the current form of Real Madrid compared to Levante? Julen Lopetegui's side will aim at a third successive win when they lost Levante at the Santiago Bernabeu. With six goals and six points, Real Madrid's La Liga campaign is off to a flying start. The European champions currently sit atop the league log with one point separating them last season winners Barcelona. Barcelona lost a game for the first time in La Liga this season! Barcelona lost a game for the first time in La Liga this season! The Catalans perfect record dream and their quest to be labeled as invincibles were halted by a bullish Levante side when they visited the Ciutat de Valencia on Sunday.